PCI Membranes can recommend the most suitable membrane and module type for your application. We can also provide test programmes, and from the data collected design full-scale plants and supply budget or firm quotations. 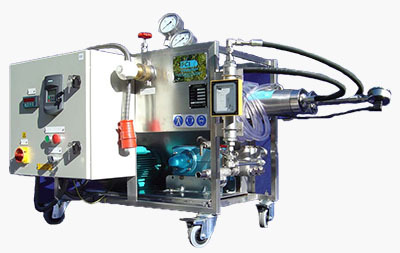 The pilot unit is designed for pilot scale work and may be used to process a wide variety of aqueous solutions using Microfiltration (MF), Ultrafiltration (UF), Nanofiltration (NF) and Reverse Osmosis (RO). A wide range of membranes is available to suit the required application. Both designs are supplied with instrumentation necessary for scale-up data to be collected accurately and easily. Customisation is available to allow use for small production in continuous, semi-continuous or batch operation.